Our radio decoding service covers many of the car stereo and sat-nav units fitted to NISSAN vehicles registered in the UK. Codes for Philips radios factory-fitted to the Nissan Primastar, Interstar and Kubistar, all from the serial number or from the 4 or 5 digit security number; no other details are generally required on these. 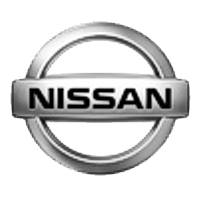 Codes for Nissan factory-fitted radios require additional time to supply (depending on the time of the request but within 12-24 hrs Monday-Friday) as most of these codes cannot be 'calculated' and are obtained from a Nissan partner. It also means that the cost is a little higher than our standard price, at £14.95. If you have Nissan's CONNECT sat-nav system then there are extra details we need, easily obtained from the screen. You should NOT need to extract the unit from the dashboard. When this system needs a code and has temporarily 'locked' you out because of 3 wrong entries, you should see a "system locked" message on screen and a box containing a 'device number', 'serial number' and 'Date'. You may need to force it to show this information by deliberately entering several wrong codes. We require all this information, plus the vehicle's VIN and registered owner's name. Sat-Nav codes are available only for Nissan vehicles registered in the UK. If you're not sure and have already removed the unit, send us the information from the casing and we will respond and run you through what to do to bring up the other info. For Nissan CD/radios apart from the sat-nav units, we will require the radio's Part Number, Serial Number and the vehicle's VIN. To find the Part and Serial numbers you will need to pull the radio from the dashboard to read them from its chassis - this will be on a printed label or engraved on the metal case. Some of the units can be extracted using 'keys' - if this is the case with yours, you will see small slots each side of the faciaplate. Don't be tempted to remove the radio another way or force it as you may damage the surrounding trim. The keys make it very easy - you can find them in motoring stores or online (there are 2 or 3 types so ensure you buy the correct ones). 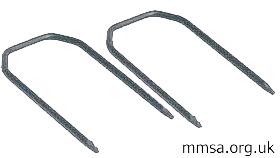 Other Nissan units (those in the later versions of the Note, for example) are extracted by first prising off screw trim-covers and then unscrewing two or more screws, allowing the radio to then be released and pulled out.